She talks about that final turn, those moments on the ground with Courtney, her sister's emotional video and what's next for her resume. 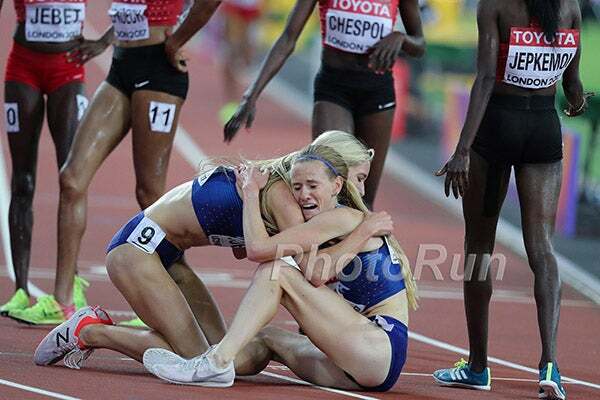 Two days removed from her historic first-place finish in the steeplechase final at the IAAF World Championships in London, and Emma Coburn still says it’s unbelievable. She ran a new American record, breaking her own, in 9:02.58 to earn the U.S. its first steeplechase medal ever on the world stage. She knew the Kenyan athletes had run much faster than she had all year, so it was a gamble to try and keep up with them—a risk she was obviously willing and able to take. After matching their surges through the middle kilometers, Coburn says she felt strong the whole way and, with two laps to go, was waiting for that final water jump to make her move…a move that boosted her into the lead off the final turn. That extra gear powered the 2016 Olympic bronze medalist to her historic victory, becoming the first American to snag steeple gold on a global stage* since 1952. And what sweetened an already magical moment was that fellow Team USA teammate Courtney Frerichs came in an astonishing second—a 1-2 U.S. performance that hasn’t happened here or at the Olympics since 1912. Frerichs, who finished 11th in Rio last year, shaved a whopping 16 seconds off her previous personal best, crossing behind Coburn in 9:03.77, holding off third place by less than a second! Their times now make them the sixth and seventh fastest in world history. And track fans across the country cried along with them, including Coburn’s sister, Gracie, who was caught on video screaming and jumping up and down at the TV when she realized what was happening. Coburn says seeing that video made her smile, because she knows the emotions that pour into cheering for someone you care about. With Tokyo 2020 at top of mind in the next 12 months for many, there are no plans for Coburn to slow down the momentum she’s built for herself. While her accomplishments on the track stack higher than most as is, she still has two more goals left to check off. We have to agree with that. 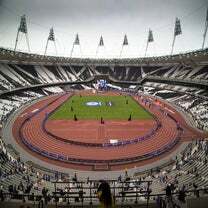 *Global stage refers to any running event where countries come together to compete, such at the Olympics or the world championships. **The women’s world record in the steeplechase is 8:52.78.